A whole world surrounds the manufacturing and wearing of gloves. This section shows some of the ‘can’t live without essentials’ of the wearer and ‘needs’ of the manufacturer. With many pairs of gloves there was always a need for a lady to find somewhere to keep her precious fashion statement. 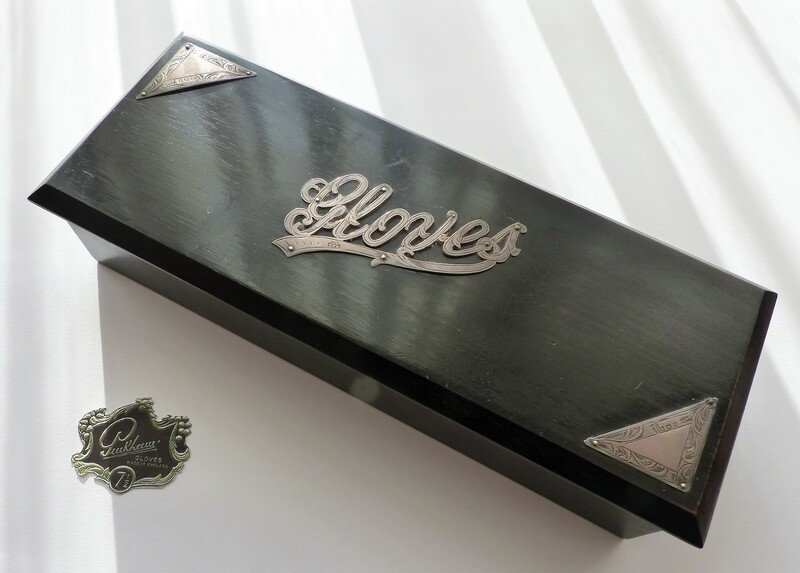 Glove boxes were made in abundance from humble box wood to expensively decorated wonderments. 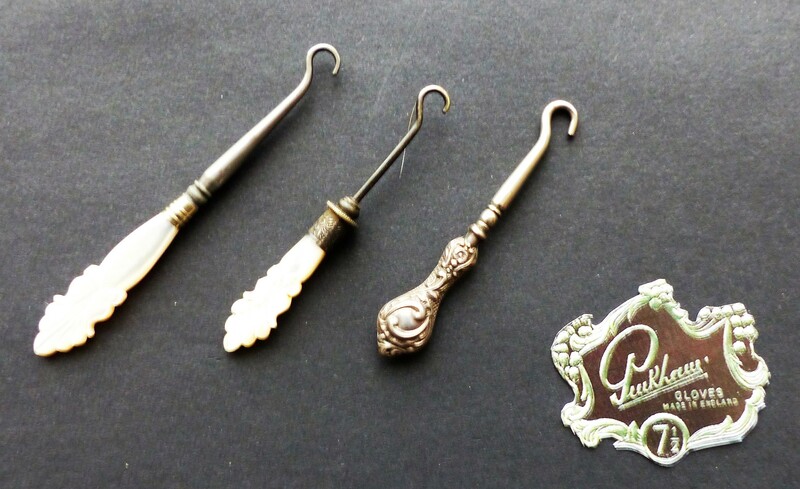 As decorative items they would find their way onto the dressing table to match some of the other glove 'accessories'. 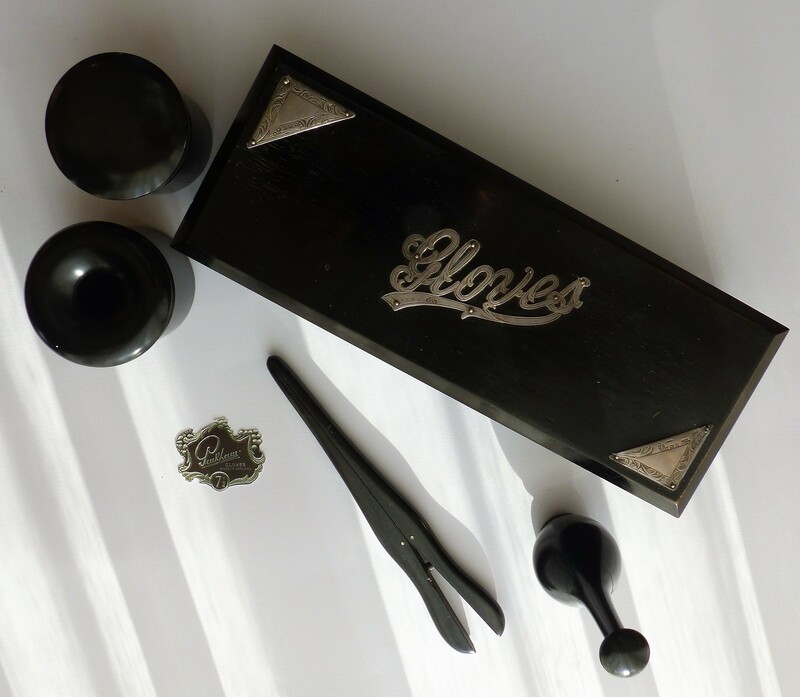 Not only did boxes provide safe haven for gloves, glove bags were also widely used and very often made by the lady to show off her sewing skills. Especially with tight fitting leather gloves glove powder was a must have. 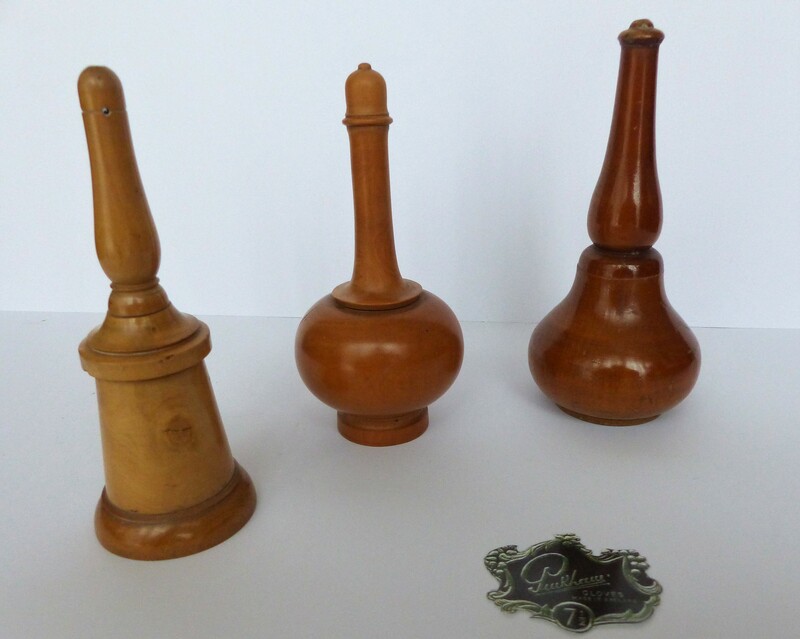 No lady’s dressing table would be complete without a glove powderer. A fine powder which was either French chalk or talcum was applied to the inside of each glove so that the wearer’s hand would slide easily into the garment and as the saying goes “fit like a glove”. To enable the powder to be applied a glove powderer was used. 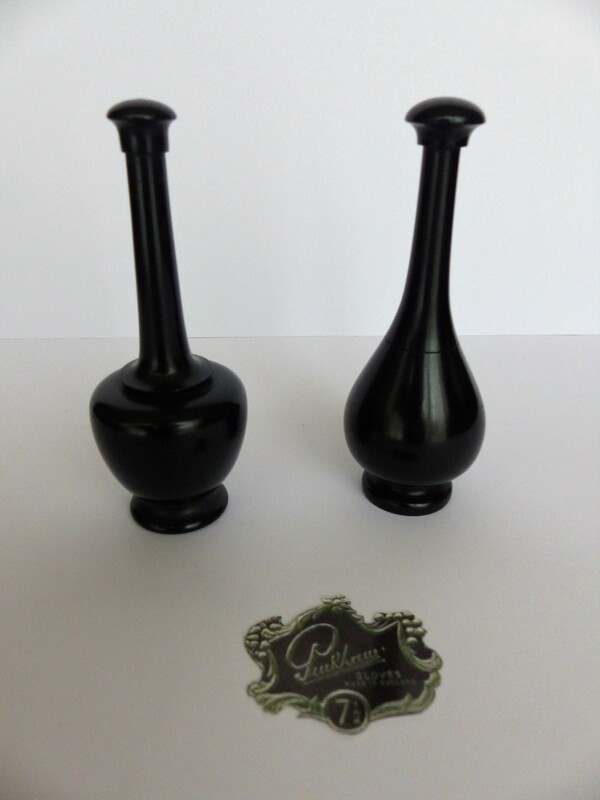 As can be seen from the photographs below these took many forms and were a focus for the luxury dressing table set maker. By the very nature of where they are worn gloves get dirty. 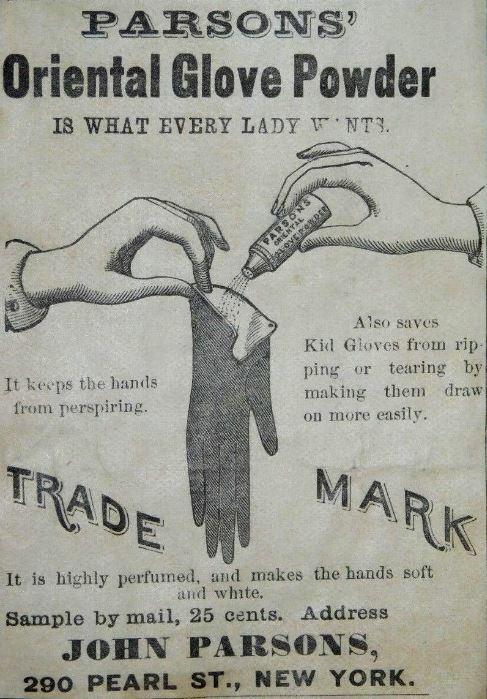 Indeed on many occasions gloves were worn by ladies specifically to stop their hands getting dirty. So a dirty glove needs to be cleaned. 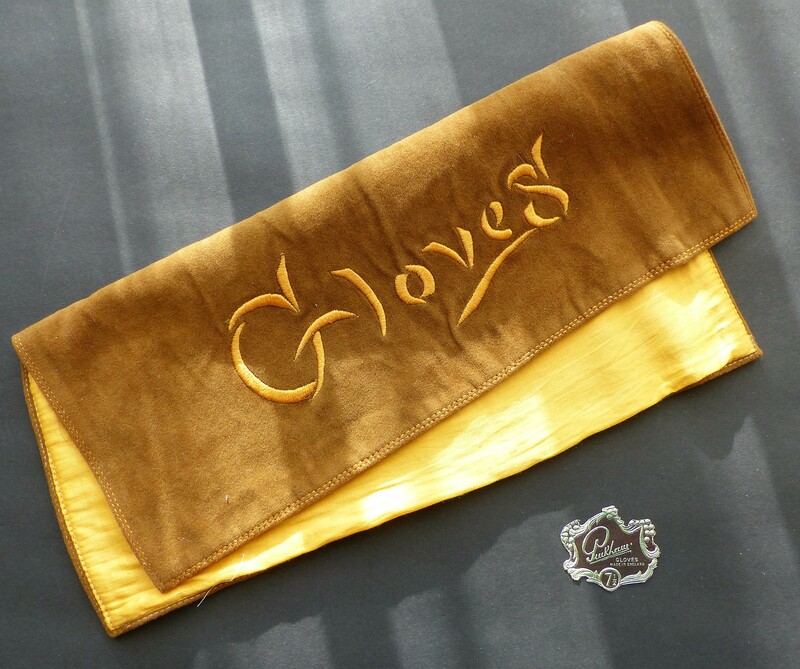 With fabric gloves as is explained in the Packing & Labels section they are simply washed and then ironed. Leather gloves too are washed but when dry the leather needs to be stretched. 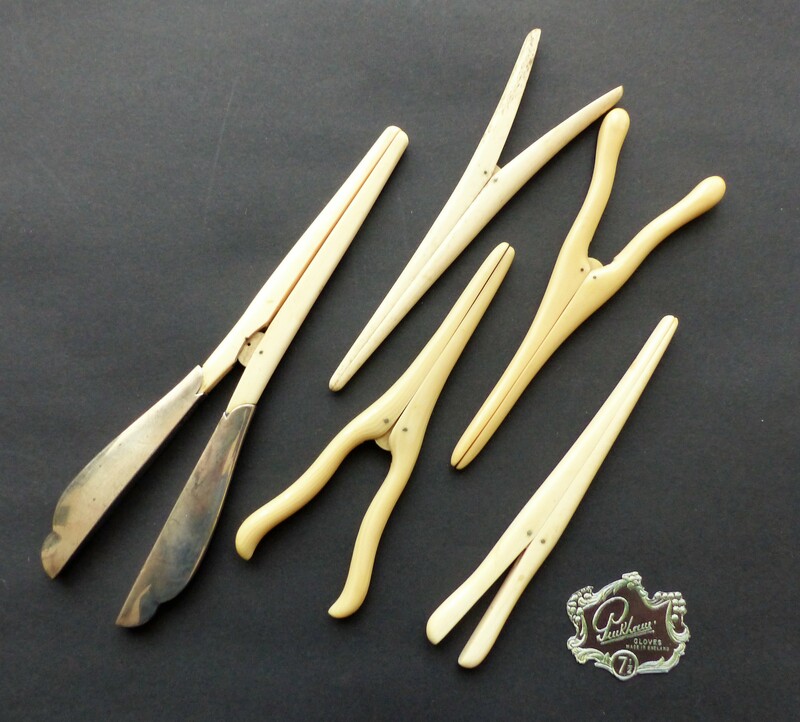 So every lady’s maid would have a pair of glove stretchers which were inserted into the fingers of each glove and opened to stretch it back into its original shape without any creases. 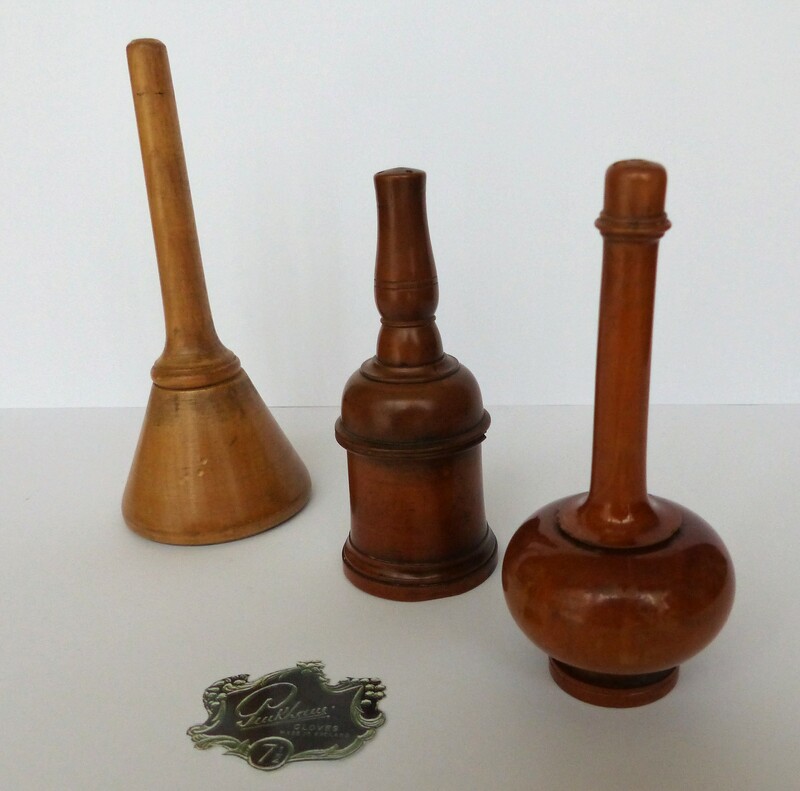 In some cases these would creep onto the dressing table which meant they could become a thing of beauty. Fiddly buttons on evening gloves, sometimes as many as six on each glove could be very very difficult to do up. As with buttons on boots a hook came to the rescue; with a much smaller hook and shaft than a boot hook a glove hook worked on the same principle. 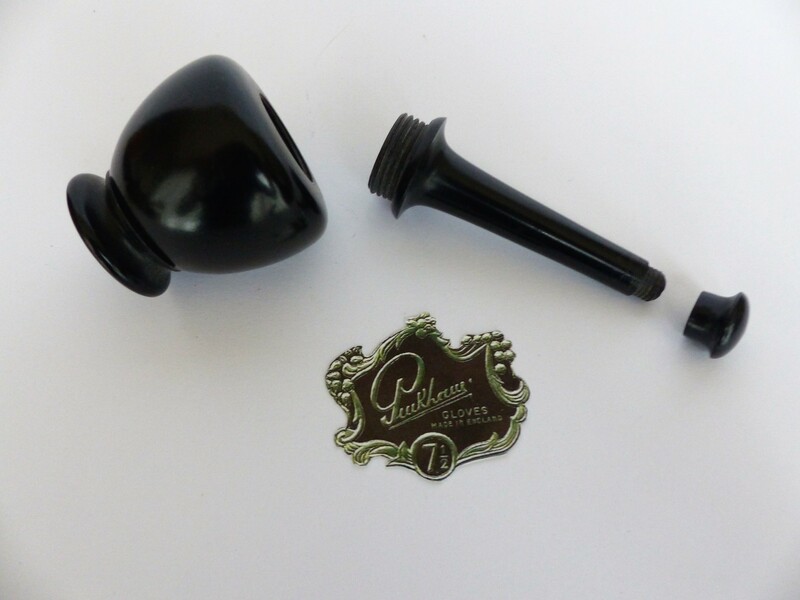 The hook was put through the button hole and once it is around the button it was pulled back through the hole. What could be easier? When times were hard and new gloves might have been beyond the wearer’s budget a hole in a glove could be darned to give the gloves another lease of life. As with the glove hook to the rescue came a glove darner. Inserted into the ‘holy’ finger it gave the repairer a firm base to effect the repair. 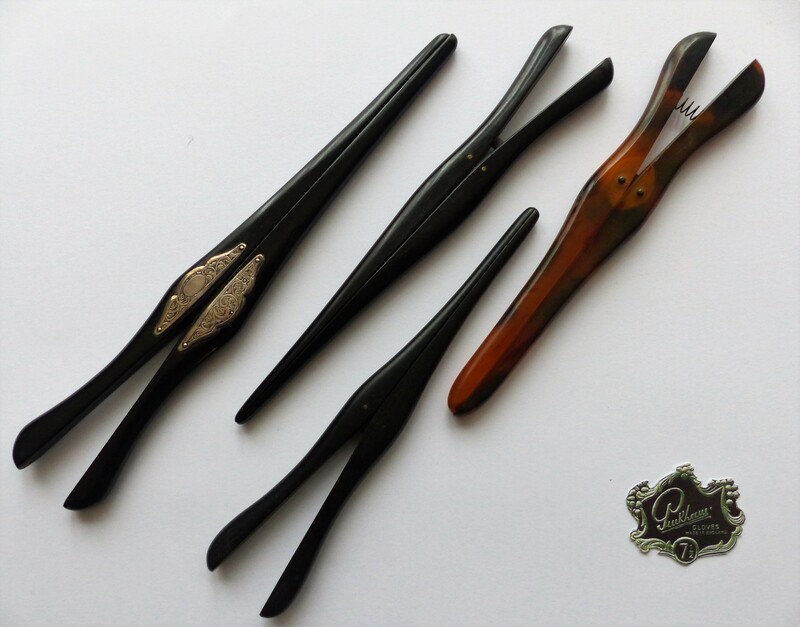 Size matters and to ensure that a fine pair of gloves fitted ‘like a glove’ there was a fundamental need to accurately establish the size of the wearer's hand. Below are two devices for achieving this. 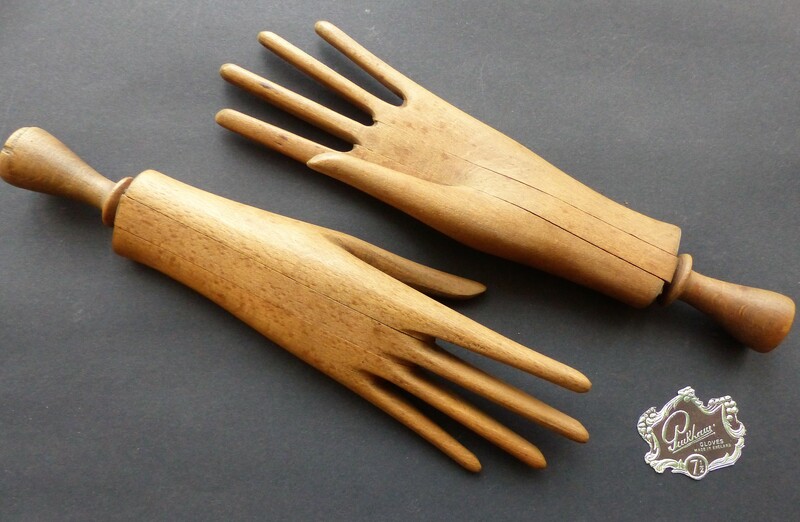 They were mainly used in retailer’s shops to measure the wearer’s hand at the counter although many a good glove maker would be able to tell the exact size of a wearer's hand by sight. 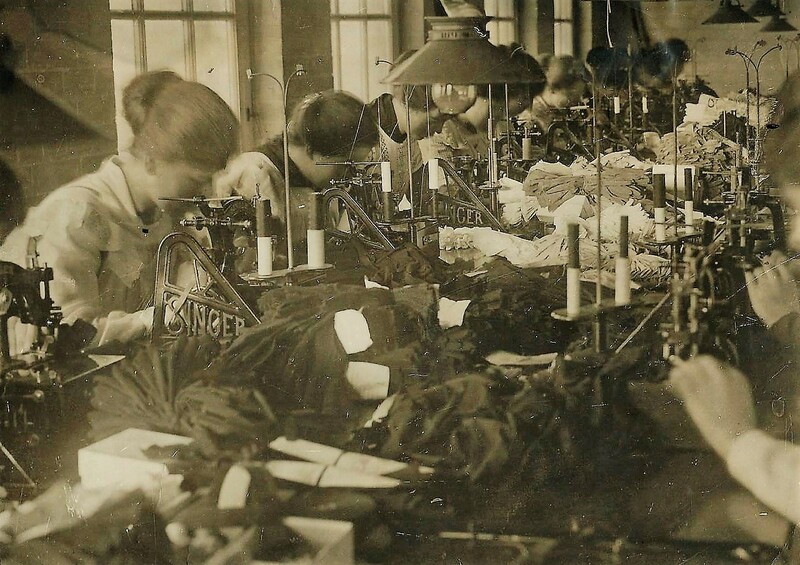 Cutting fabric was one of the key elements of glove manufacturing. Fabric would be layered and then cut with metal pattern presses cutting through the fabric rather like a cider press. These metal patterns would be kept in fire proof safes when not in use for if they were destroyed manufacturing would be halted. 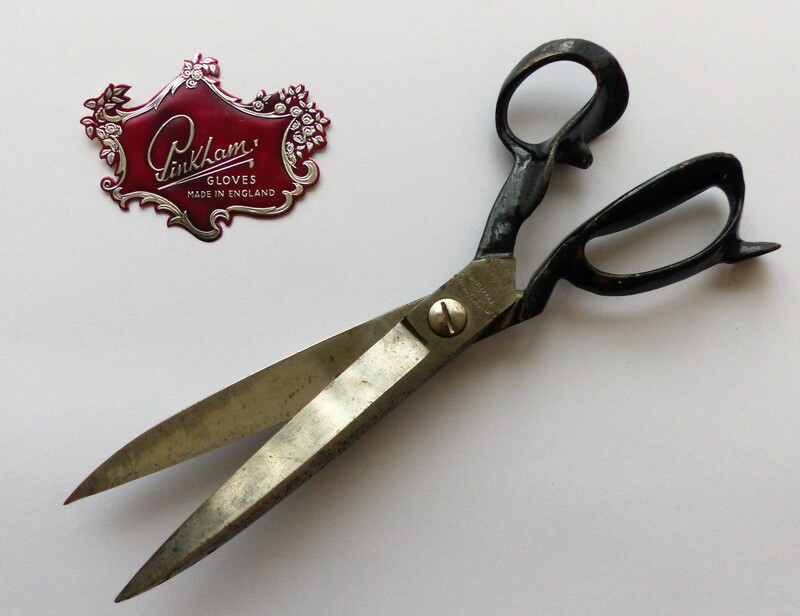 In addition high quality shears were used to cut fabrics and leathers during manufacture. 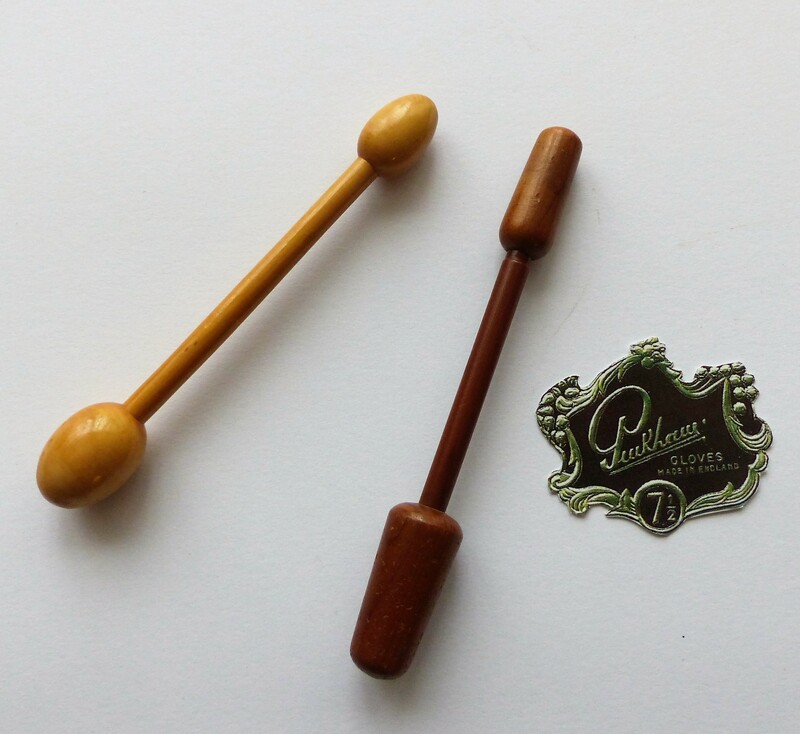 The pair seen below is similar to those used at the Pinkham factories. 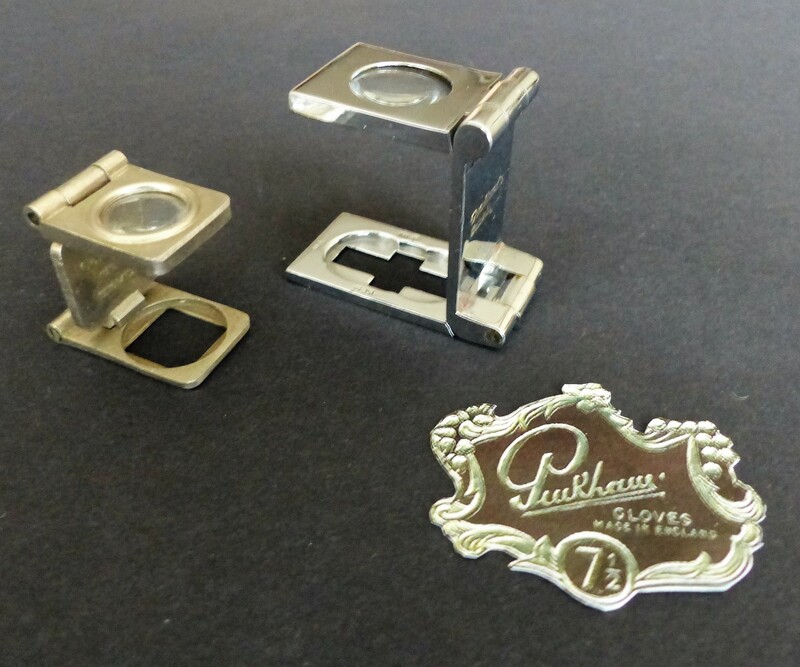 As with the sewing machines a team of mechanics kept them in perfect working condition. Quality was everyone’s priority and quality control was the most important part of production throughout all stages. Once the gloves had been finished and before going for ironing and packing careful attention would be given to the stitching on each glove. Most gloves were stitched by machine and some would be finished by hand and the quality inspectors would look for the stitching quality using a thread counter. 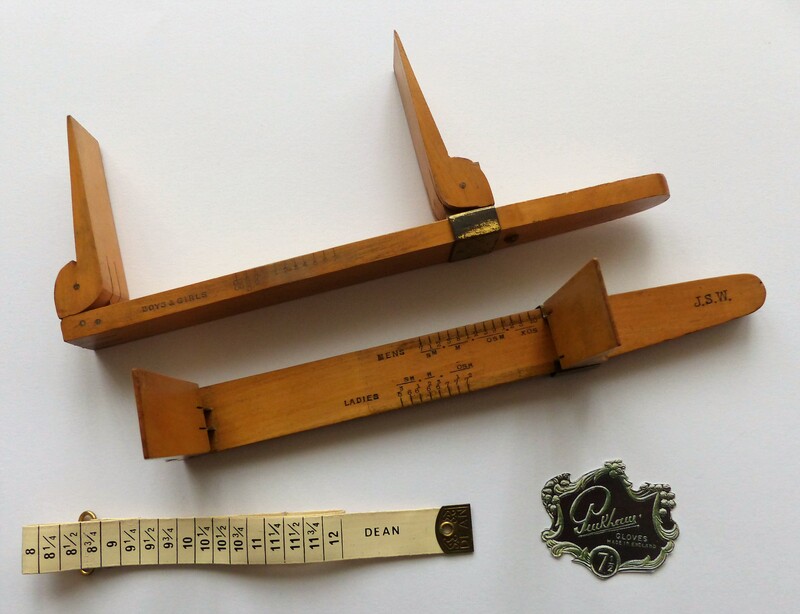 As can be seen from the picture below these are magnifying glasses which were placed over the stitching and the number of stitches over a set length of the seam would be checked. 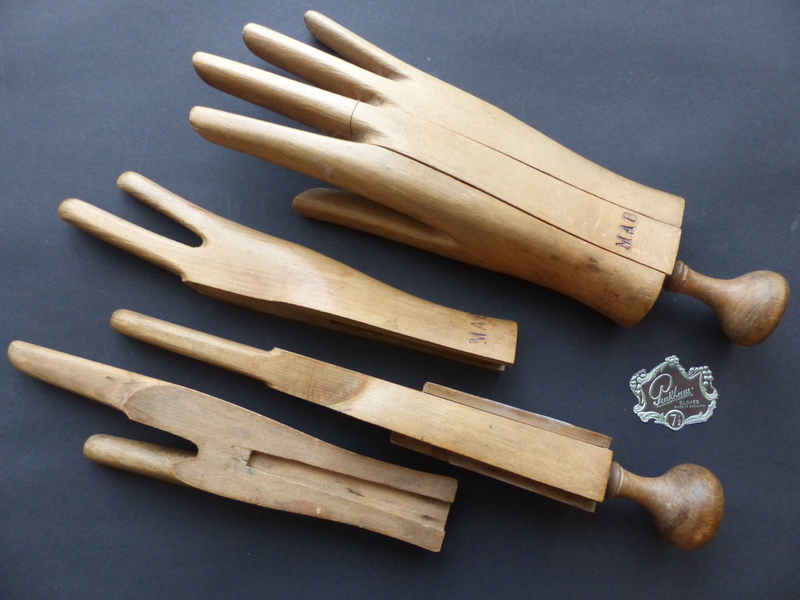 These three piece wooden ‘hands’ in all sizes were used to stretch leather gloves into shape prior to packing. 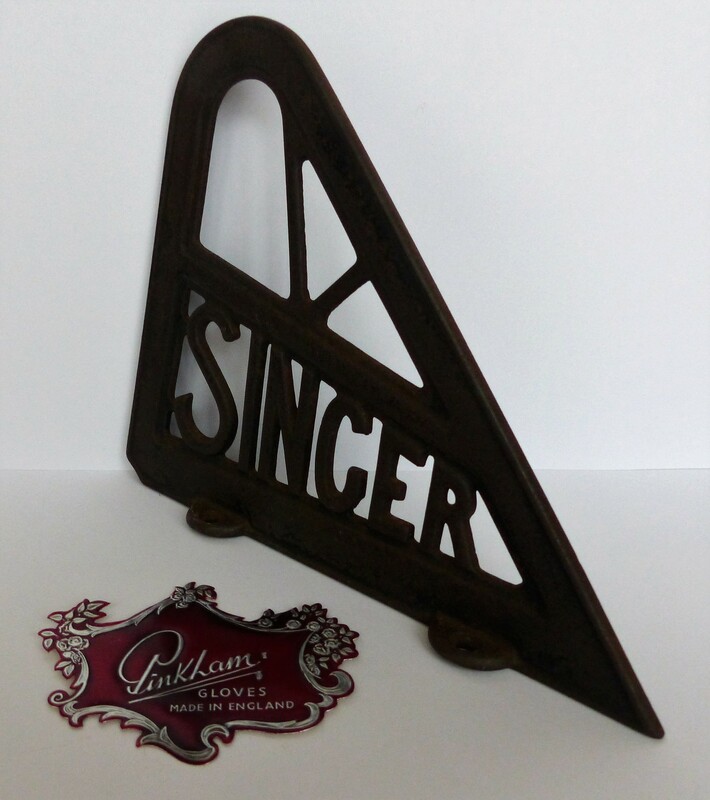 This cast iron guard is a left over from the Victorian age of ornamental industrial machinery. Used to guard the machinist sewing area, here in the 1920s they can be seen alongside each machine in The National Glove Company's Witham factory. 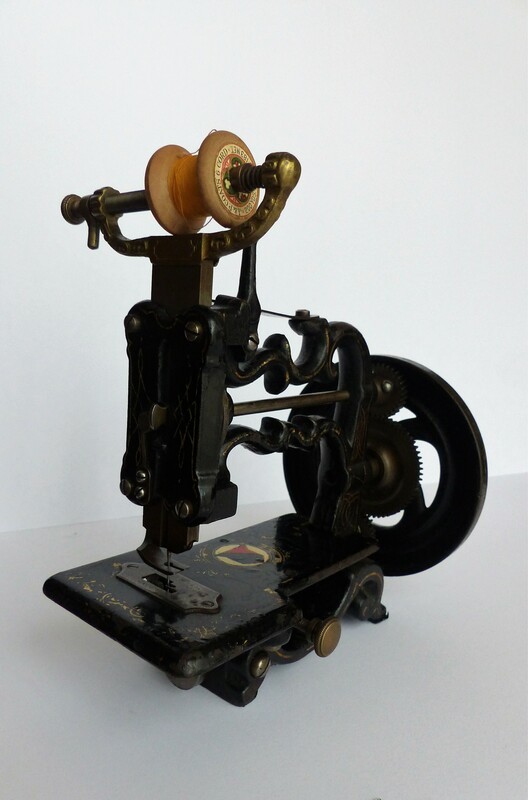 From the early days most machine sewing was done using a foot operated treadle machine which was surpassed by electric sewing machines. However button holes would have been sewn using a very fine hand operated sewing machine. 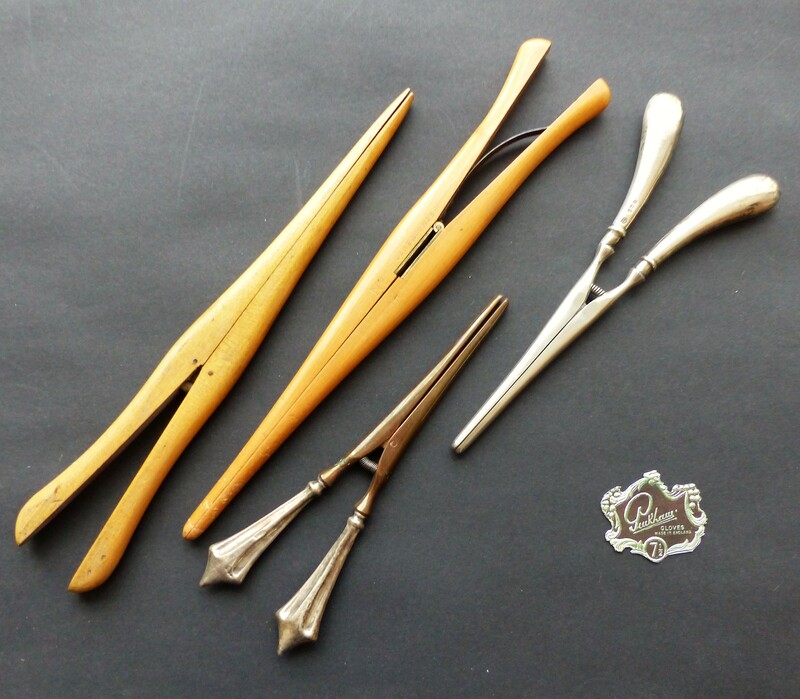 Good eyesight and nimble hands were musts.